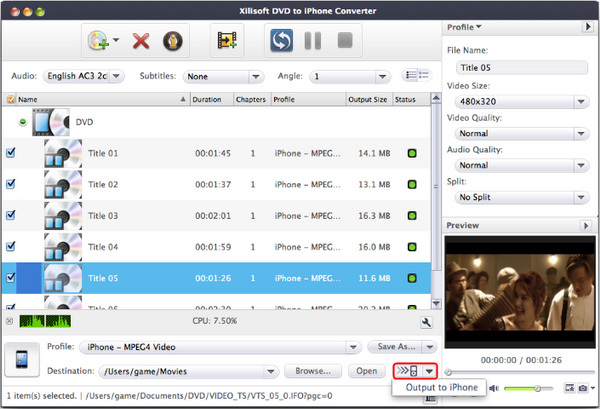 This step-by-step tutorial will show you how to convert a DVD to iPhone MP4 video or M4A, MP3 audio on your Mac. 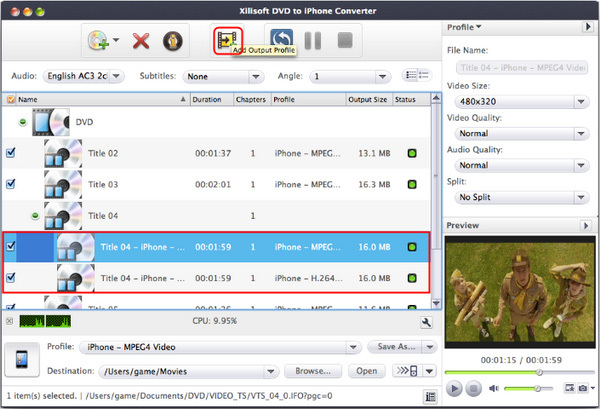 After download and install DVD to iPhone Converter for Mac, you can follow the steps below to accomplish the conversion. 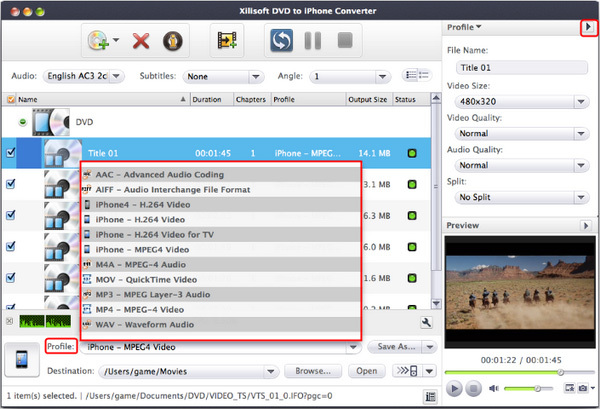 Before you start, run Xilisoft DVD to iPhone Converter for Mac at first. 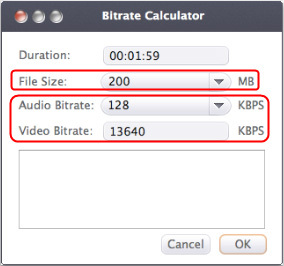 After finishing the above settings, check the needed file to convert in the file list, click "Start Ripping" button on the main interface, to start extracting the file. You can view the progress of the extracting process from the progress bar at the bottom of the window. 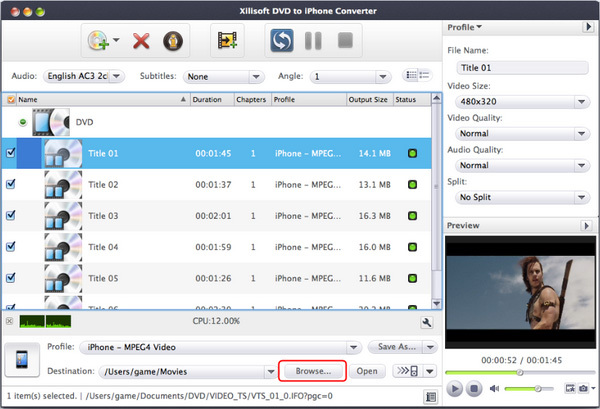 After conversion, you can directly transfer your files to iPhone by this software.